Jeff Olson, the CEO and Founder of Nerium International™, and author of The Slight Edge, consistently warns people of chasing the Quantum Leap or Dream Wishing instead of Dream Chasing. Instead, he communicates the practice of consistent, simple, daily actions over time to achieve success in any area of your life. If you have ever been promised to see high returns in a short time period as an Independent Brand Partner in Nerium International™, you have been misinformed. There are definitely people I have met in the business who have advanced and generated a profit it what appears to be a short time. However, what isn’t visible to the masses is the time and effort those partners put in prior to launching their Nerium business. Is it difficult or does it require a high level of intelligence? No. It does however require desire and discipline. Use the product – what better way to share the product with people than to have them see your results first hand? Also, if you can’t even commit to using the product religiously, then how can you commit to sharing the information with people, and consistently following up with those who express an interest in improving their own skin? Share the product – Nerium gives you the tools to effectively share the product through videos, literature, and best of all, product samples. If you purchase your kit and you let the bottles sit on your kitchen table, there is no way you will generate a profit, much less redeem your initial investment. Rinse and repeat – With any thing in life, you will get out of it what you put in. If you only share the product once, or use the product once, the only guarantee I can tell you is that you will not achieve any results. Remember the key is consistency. There is money to be made in the anti-aging market. Specifically, this industry is projected to grow to 1 trillion by 2025. Where the trillion ends up is completely up to you, the consumer. You can choose to continue to give your investments in your skin care to huge corporations who lack the scientific proof of results, or you can choose to purchase from your friend, neighbor, or acquaintance. The fact of the matter is, the money will continue to be spent regardless. Once you have a plan, then it is all about consistent execution. If you have been using the product, and know it works, then it’s just about incorporating it to your life daily by sharing the information with others. Is it easy to do? Yes. Is it easy not to do? Yes. The difference is in believing in what you are doing, committing to taking steps each day toward your goals, and only then will you see results from your investment as well as your results in your own reflection. Now to address the passive income and easy money characteristics of a pyramid pitch: I hope the above demonstrates that the money doesn’t come easily or in other words, with no effort on your part. Instead, it comes from consistent daily disciplines. What about the passive income? This comes later after you build your team. However, I would hardly call it passive. If you are an Independent Brand Partner, then our main business is building relationships, and helping others to do the same. We do this through personal development, and taking the time to nurture new and old relationships. When you do have your own team, your responsibility is to ensure their success through encouragement, information, and support. Then and only then will you start to see the “passive” income. I would actually consider it more residual income. The time and effort you put into the relationships with your team, will determine the residual income you see off the percentage of your team’s success. Passive income is an income received on a regular basis, with little effort required to maintain it. It is closely related to the concept of “unearned income”. Residual income is defined as recurring income that comes from an investment or other source. 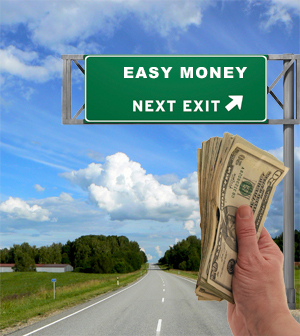 Residual income is money that is earned on a continual basis, but is often based from one original activity.